India agreed to supply 160 railway passenger coaches to Sri Lanka valued at around 82 million US dollars under concessional financing. India has agreed to supply 160 railway passenger coaches to Sri Lanka valued at around 82 million US dollars under concessional financing. 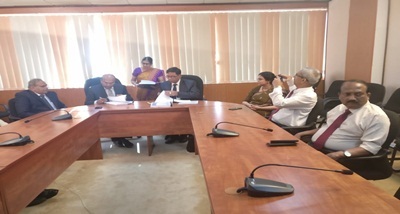 The agreement to supply coaches custom-made in India, was signed between RITES Limited of India and Sri Lankan government in Colombo last evening. Procurements of rolling stock from India which underway include 6 DMUs, 10 locomotives, 20 container carrier wagons and 30 fuel tank wagons.